Now that my journal quilt series of #TBT posts are complete, it’s time to dig back into the archives and share some other previous work. In the fall of 2009, I took a break from four months of staining woodwork in my new house. (Yes, FOUR months of 40 hour weeks of staining baseboards, doors, and door and window trim. It’s a good thing that we’re never moving from this house because I am totally not doing that again!) I spent a week at Cambridge Quilt Shop taking a class with Ruth B. McDowell and having an absolute blast. In the class, we designed quilts based on our own photographs and using her method of piecing. After I finished my staining, I finished this quilt, which was based on a close-up photo I took of an iris. 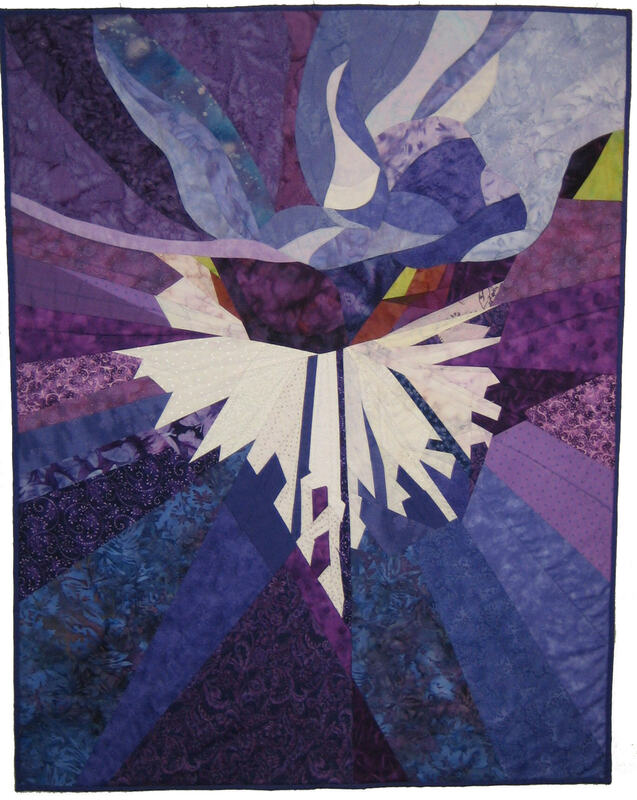 The quilt hung at the Vermont Quilt Festival in 2010. Incidentally, VQF this year has a special exhibit of Ruth McDowell’s work June 24 – 26. This quilt is available for sale in the Shop.